The most cost effective audio processor available today, the DSPXmini-FM SE is in use around the world, providing even the smallest stations with BIG sound. The DSPXmini range proves that your station can sound exceptional, without breaking the bank. Popular in LPFMs, community stations, houses of worship, RSL's and large city wide stations, the DSPXmini-FM SE is a case where you certainly get more than you pay for. The DSPXmini-FM SE has a four-band gated AGC and a four-band, program-dependent limiter built upon the processing core it shares with other models in the DSPX FM range. Parametric bass enhancement, distortion-controlled clipping and composite clipping with pilot protection further contribute to keeping your station's sound consistently loud and artefact free. The DSPXmini-FM gives you a competitive edge and builds listenership and revenue-by enabling you to achieve the tailored sound and loudness needed to make your station distinctive. BW Broadcast's proven presets, as well as intuitive local and remote interfaces help you get your DSPXmini-FM SE on air fast. Whether you are a processing novice or expert, you'll easily achieve a signature sound for your station's format. And as you have come to expect from BW Broadcast, the compact DSPXmini-FM SE is designed for unsurpassed reliability and trouble-free operation in the world's most challenging installations. As with all BW Broadcast FM processors, the DSPXmini-FM has BW Broadcast's world-class stereo encoder, a real-time clock for preset scheduling, preset A/B switching, graphic LCD display, serial and TCP/IP remote control interfaces, and both analogue and AES/EBU digital inputs. The BW Broadcast DSPX Series presents a carefully developed series of processors, with a version designed to exactly meet your needs and budget. For additional processing power, greater loudness and dual-path design to manage both analogue and digital broadcast chains from a single unit consider the BW Broadcast DSPX-FM and the top-notch DSPXtra-FM for unsurpassed audio processing at affordable prices. 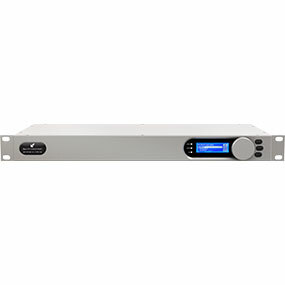 The DSPX Series offers exceptional value in listener-building processing power.